AND Services is a full-service HVAC, plumbing & electrical company. We have been serving the Central West counties of Florida for over 10 years. Our service area includes the counties of Hillsborough, Pinellas, Pasco, Sarasota, Manatee, Charlotte, Hernando & Citrus. We are certified and licensed by the State of Florida for each of our service. Our license numbers are: CAC-1816819, CFC-1428695, EC-13001480. As one of leading HVAC companies in the state, we set high standard for quality. We take great pride in building long-term customer relationships based on trust, quality services, affordable prices and our skilled expertise. We will always respect you and your property. 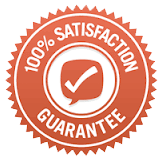 You will always get a fair and honest quote from us before we start any work. We’re available 24/7, even on holidays. Call now and we will be out to your house as soon as possible, or at a scheduled time that you select. You always get our best low price. Never pay extra for service on weekends, nights, or holidays. We diagnose the problem and give it to you straight. No gimmicks, or bait & switch sales tactics. You won’t be stuck waiting on backordered parts. Our trucks are fully stocked with parts for all makes and models.